This is the era of the digital DIY wedding. Brides want to plan their entire wedding online quicker than you can say ‘download the app’. For wedding and event providers, competition to book gigs and services is fierce. 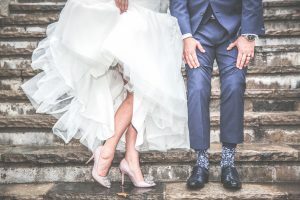 As a vendor, you need to be the first to wow the bride to beat out your competition and here’s how Gig Centric can help. More and more couples are booking wedding services from their phone or laptop. The internet has turned brides into savvy DIY wedding planners, opting to make bookings themselves over hiring a planner. What does this mean for you as a wedding vendor? First online impressions matter and you need to create the wow factor quickly. You’ve got less than a matter of minutes to capture a potential client’s attention before they refresh google and move onto the competition. Let Gig Centric create the perfect introduction to you and your services. Our professional platform showcases your services in a convenient all-inclusive package. With everything the bride to be needs in one place, there’s no need to click across to a competitors website. It’s 11am in the office. The bride has a mountain of paperwork but she’s surfing the net looking for the DJ. Work is waiting, the boss is hovering and she desperate to get ‘BOOK DJ’ checked off her list. Teaming with Gig Centric as one of our trusted vendors, your business is open around the clock. Whether it’s a frantic 11am ‘I should really be working’ google session at the office or a caffeine-fuelled online hunt at am, brides can discover you 24/7 and book a service. Better still, you’ll get all the benefits of a package flow-on effect, even if the client wasn’t searching for the type of service you offer, you’ll be introduced as part of one of our amazing packages! Get it checked off the list with your service and the competition won’t even get a look in. What’s better than getting it checked off the list? Getting confirmation it’s been checked off the list! Gig Centric won’t leave brides waiting around for a call back, wondering what the status is and then moving on to a competitor in frustration. Savvy and seamless booking confirmation and conveniently packaged services will soothe a stressed out bride, leaving her free to move along to other wedding details. Gig Centric booking technology won’t only make the booking process easier for your customers, our dashboard will help you keep on top of your reservations and status of your business easily. After the bride lets us know the package she’s after, we send a quote online right away. If the quote is accepted, we active the booking immediately and take the client straight through to the contract. You’ll be notified immediately via email and text of your new client booking and all the details. Our technology gives you valuable insight into your most popular service and most requested time slots. Take advantage of customer data to see what your customers really want and create offerings to meet those needs. This entry was posted in Events & Conferences, Online Event Management Software and tagged Online Wedding & Event Music Software. Bookmark the permalink.